Wayfinding is one of the first ways your visitors experience your Zoo or Aquarium. An effective wayfinding system should enhance your audience’s understanding of your sites, exhibits, events, amenities and ultimately provide an intuitive and enjoyable experience. 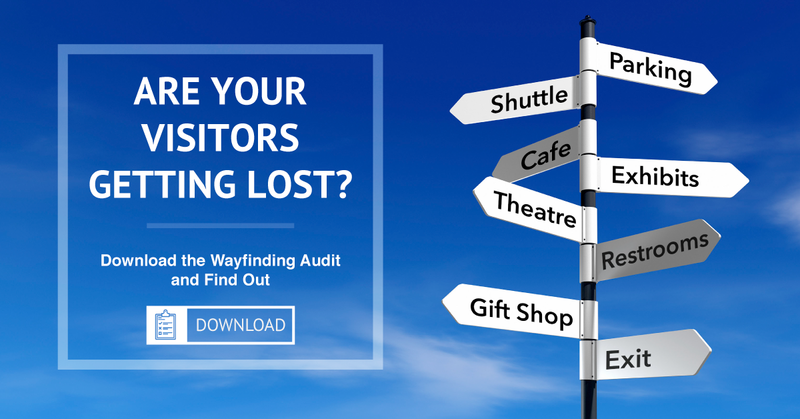 We have put together a resource to measure the effectiveness of your sites wayfinding. Through this guide, you will identify the different types of wayfinding in your Zoo and uncover if your establishment is meeting best standards. Gecko Group is a communications design firm with over 20 years experience working with Zoos and Aquariums on all aspects of wayfinding and exhibition design. We are professional designers who understand the needs of your audiences and how to help your organization identify opportunities to create unique and intuitive visitor experiences.